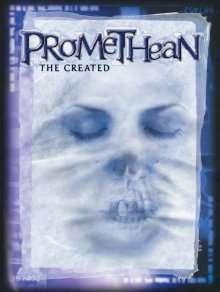 This free booklet introduces you to those shadowy figures inhabiting the World of Darkness known as Prometheans. A storytelling game of stolen lives. This is the first time that White Wolf has explored the traditional horror genre of created monsters — characters who from the outset stand apart from the rest of society, isolated. Only able to pretend at emotions and being human, what they want most in the world is to have a soul. This title was added to our catalog on July 13, 2006.